I commented in my Replacements review earlier this week that reunion shows are "treacherous". The pitfalls are many, usually some guys who ceased enjoying playing together a long time ago giving it another go only because it's a better economic opportunity than any other avenue they have. But somehow, The Dream Syndicate (formed in 1981) have come back 25 years after calling it quits, and are playing with a great sense of purpose and energy, actually better than ever. The show at Bumbershoot last Sunday, played far too early in the day for their oeuvre, 4:30 in the afternoon, was searing rock'n'roll, urgent, compelling and it left the audience literally slackjawed. 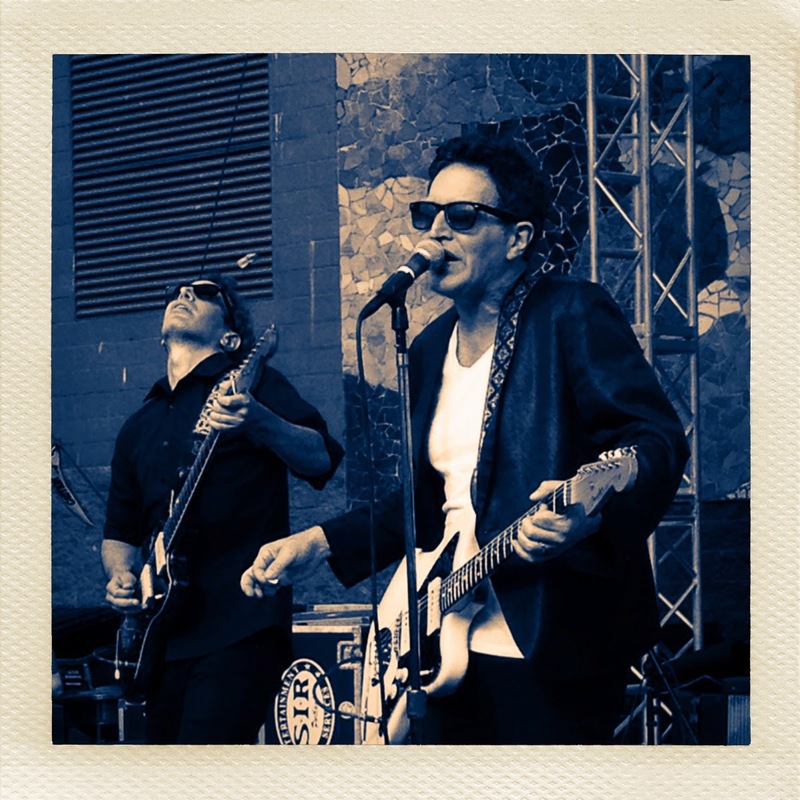 Steve Wynn, long a favorite here at WYMA, is a first rate songwriter, singer, guitarist, and band leader who has stayed very active since the Dream Syndicate broke up, making great music with Gutterball, Danny and Dusty, The Miracle 3, and The Baseball Project. So it's not like Wynn needs to go back to the Dream Syndicate to feel relevant or validated. And the Dream Syndicate never reached the popularity they deserved anyway, so there wasn't a whiff of nostalgia here either, just pure rock. This show was all about the love of the songs themselves and the sheer fun of playing them with the right set of musicians, including the powerful and super tight rhythm section of original drummer Dennis Duck and bassist Mark Walton who came aboard in 1984. Guitar player Jason Victor is the only new member, but after years of playing with Wynn in the Miracle 3, he is a true Syndicator as he and Wynn's twin guitar attack was on target for the entire set. While every moment was dead on, "That's What You Always Say" was particularly overpowering, Wynn and Victor pulverizing the guitars chords and Victor tearing up the leads (starts at the 9:22 mark in the full concert video at end of this review - a must listen). And they really stretched things out on "John Coltrane Stereo Blues", extending the wild guitar jam for 10+ minutes. The Dream Syndicate never caught much of a break in the mid 1980's and didn't seem to be fully understood or embraced by their major record label. And their Velvet Underground-meets-Crazy Horse-meets punk rock guitar mayhem was certainly at odds with the new wave radio hits of the day. Their music is dark, hard, and was even out of step with "the Paisley Underground" movement they were supposedly a part of, having little in common other than California zip codes with the sunny pop music of the Bangles and The Three O'Clock. But now in 2014 they carry no such unhelpful expectations. They can and do simply bring the rock. It's now outside of era and commerce and is just a great set of timeless songs, a tight rhythm section, a ferocious twin guitar attack and a winning frontman in Steve Wynn. 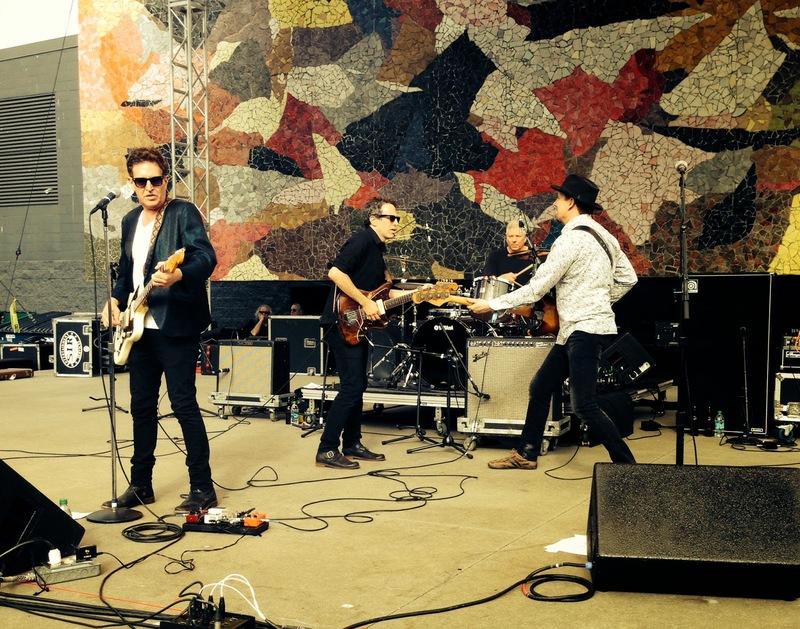 It is the official position of the WYMA blog (Incorporated) that the Dream Syndicate should keep touring, maybe even write some new songs and record again. This band is too powerful, too good, far too satisfying to go away.